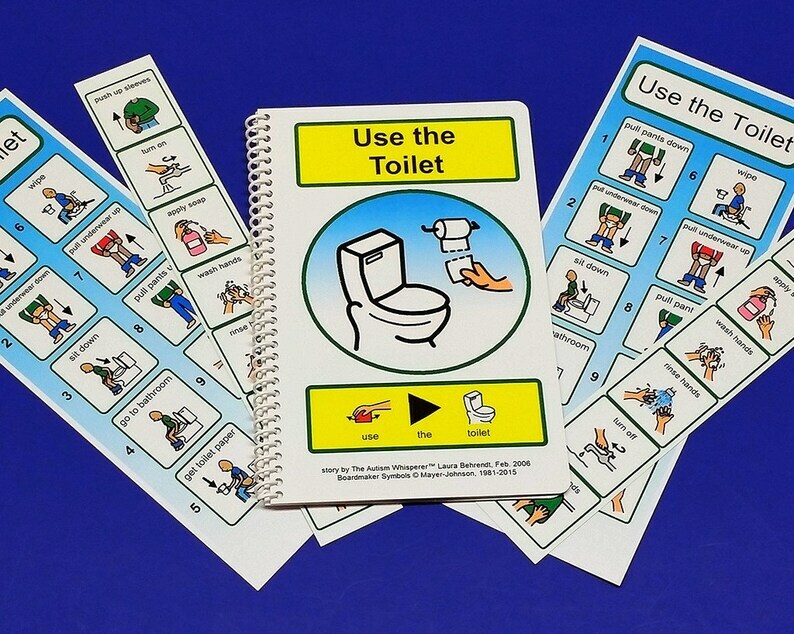 This is a wonderful set of visual aids for any family in the stages of potty training. *** IMPORTANT NOTE: If you are potty training a young child I would recommend the Girl/Boy - SITTING ONLY version, but that is up to you to decide. The Boy STAND and SIT version is typically for boys who are just learning to stand and pee, or more typically and older boy who has is still not potty trained (or semi trained) who needs to learn to stand and pee. A lot of children on the Autism Spectrum benefit greatly from social skills stories. A good social skills story will be a step-by-step rundown of the topic at hand that includes clear pictures that support the event. This helps to promote an accurate internal dialogue. Lets your child or student know what is expected and promotes success! There was a shipping error (no fault of the seller) that she corrected incredibly fast. The quality is great and she was very easy to work with. They clearly show each step and is easy for him to follow. Yes it arrived on time.